How correct is Bhekh Bahadur Thapa on 1950 treaty review proposal? South Asia Check has examined whether this statement is fact-based nor not. 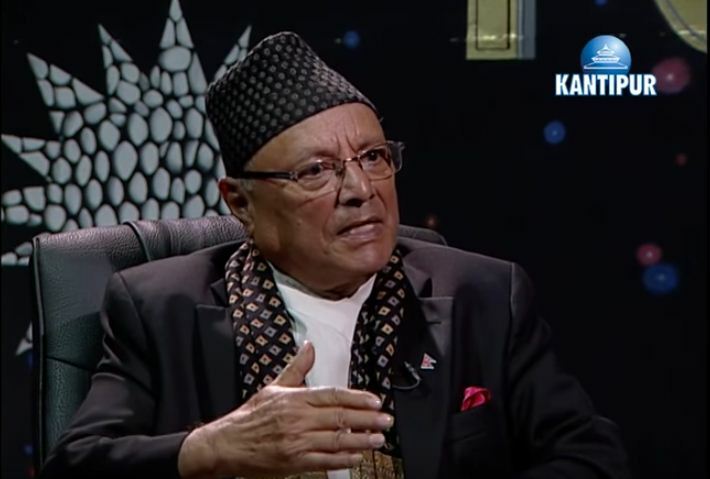 For this, we checked whether Dr Baburam Bhattarai, Sushil Koirala and KP Oli as prime ministers had managed to insert the 1950 treaty review proposal, which was proposed to India in 1995 by Prime Minister Man Mohan Adhikari, in the joint communiqués with the Indian prime ministers. During the India visit by Dr Bhattarai in 2011, the joint communiqué issued by the prime ministers of the two countries has stated that both of them “agreed to review, adjust and update the 1950 Treaty of Peace and Friendship”. Similarly in 2014, during the tenure of Prime Minister Sushil Koirala, Indian Prime Minister Narendra Modi visited Nepal and the two prime ministers issued a joint statement mentioning the aforementioned phrase. Prime Minister KP Oli visited India in February 2016. But no joint communiqué was issued during the visits. Therefore, Thapa is wrong in saying that KP Oli also managed to insert the phrase in the joint communiqué. However, during the tenure of Oli, Nepal and India established Eminent Persons Group “to comprehensively review bilateral relations and recommend measures including institutional frameworks to further enhance bilateral ties.” This group has the authority to review the 1950 Treaty of Peace and Friendship. Pushpa Kamal Dahal and Madhav Kumar Nepal, who served as prime ministers before Dr Bhattarai, had also managed to insert the phrase on 1950 treaty review in the joint communiqués with the Indian prime ministers. Pushpa Kamal Dahal, who for the second time assumed the post of prime minister in August, visited India in September. The joint communiqué issued by the prime ministers of the two countries states that “it is hoped that the Eminent Persons Group would work intensively and look into the totality of India-Nepal relations”. Here, 1950 Treaty of Peace and Friendship also falls under the “totality of India-Nepal relations”.